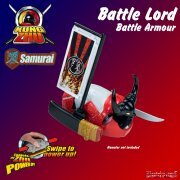 Here is the latest force to enter the Kung Zhu area - Samurai! 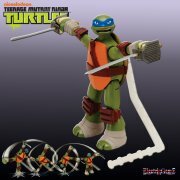 It';s time to prepare your Samurai warriors for battle! 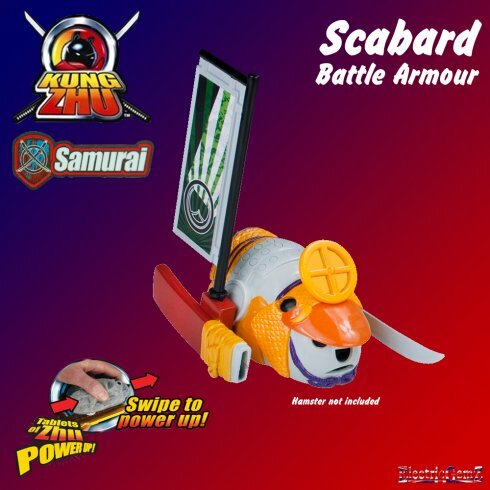 Although it will fit any warrior, Kung Zhu Scabard Battle Armour is specially designed for Samurai Warrior Goslar. Included in the pack is a Tablet of Zhu. 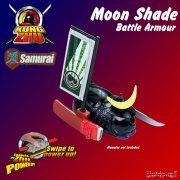 Swipe your Samurai Warrior along the tablet so that it picks up the special secret codes contained inside to power it up for maximum fighting power – then watch it go! 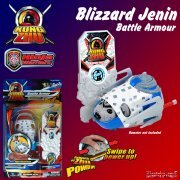 Suitable for ages 4+, Battle Armour is easily fitted and each one has its own, unique battle sounds. The sealed pack does not include the Hamster. 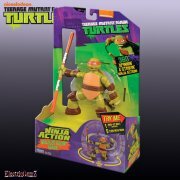 Batteries are not required. 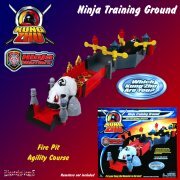 Look out for the entire Kung Zhu range in our Online Shop.